Going green has been all the rage, so switching to a workplace that is more environmentally friendly is an excellent decision for any organisation or company. Not only that, but it’s not as big a sacrifice as people think it is. Any company can do this, and what’s more, it will not bankrupt you. You may even become more successful and make more money. It will make you more sustainable, it will help you cut costs. And, honestly, a Carbon Tax is in the works, and it will essentially make all businesses cut down on their carbon emissions. So, trust us when we say that going green is always an excellent choice. However, you are not the only one in your company (right?). That’s why you will need to advise and convince everybody that is part of your company on how important and useful this is. Below, you will find 32 tips and tricks for convincing your employees just how important the green initiative is, as well as how easy it is to implement. So one of the first things you should do is waste as little paper as possible. Keep as much of your work online as possible. Don’t forget to back up all files you place in the cloud. If you must have a physical document in your hands, have your people review it, and scan it. 2. And If You Really Have To Use Paper, Recycle! Now, if totally getting rid of all paper is impossible, then recycling is simply a must. 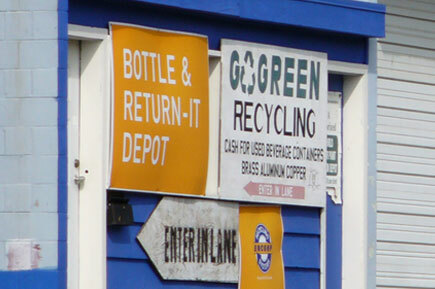 And not only should you recycle, but you should get recycled materials as well. So, get paper that has been coloured and processed via eco-friendly methods and processes. Also, get paper that has very little, to no, chlorine bleaching. This one is quick and easy. Get a printer that can make double-sided copies and prints. Furthermore, try to avoid coloured prints. If you get coloured one-sided prints, you will waste a lot of money, and a lot of resources, for nothing. Paper is not the only thing that you can recycle. Cartridges can be replaced and recycled as well. Use software programs like GreenPrint that can identify wasteful printing and alert the user about the possible wasted paper space. It also recommends ways to eliminate it. In fact, GreenPrint claims to save businesses 17 percent on printing materials every year. Give away notepads made of recycled misprints so everyone knows their misprints can still be used and not just thrown away. If your staff needs to ship packages, have them reuse shipping boxes and shredded waste paper as packing material. 8. Carpooling Is A Lot Of Fun! Help reduce traffic congestion by encouraging everyone to carpool, take public transit, bike, or walk to work if the workplace is close to home. Get a hybrid or electric car. Not only are they very safe, cost-efficient and good for the environment, but they look pretty cool too. Encourage your employees, get them to follow your example. Let them follow your lead. What about implementing a business casual clothing policy? Instead of wearing very formal and stuffy clothing, switch to something more casual. You may end up saving on dry cleaning, and on air conditioning. What about working from home? Sounds crazy, maybe even a bit lazy, but honestly, it really can help your company save some cash and waste less natural resources. You can communicate with your employees via Skype or other tools, and go to the office only when you really have to. This will save on gas for transportation, among other things. 12. Longer Work Days, Longer Weekends – Why Not? Consider having your employees work 10 hours a day for 4 days instead of 8 hours a day for 5 days. This helps cut energy costs for the company and travel costs for everyone. Who wouldn’t love three-day weekends? Natural light helps employees with productivity and satisfaction. So, make the most of the natural daylight and use it as a free source of lighting in the workplace instead of having all those artificial lights on all day. This can work perfectly for desks that are close to windows. Also, never leave the lights on at night when it’s time to go home. Stock up on recycled pens and pencils and encourage everyone to use them. It’s also better to get refillable pens and markers instead of buying disposable ones. Go Green by having some greenery in your office. This means get some plants in there. Plants absorb airborne pollutants, as well as emitting oxygen into the air. This will make your workplace much healthier, not to mention, much prettier. Getting your office materials replaced with biodegradable versions is also a good way to go green. Have your cleaner people use biodegradable cleaners exclusively. Unlike regular cleaning agents, these will not affect the health of your staff. They will actually help eliminate harmful substances, while not being toxic for the cleaners, or for the environment. Use dust control & floor protection mats. Place these mats by the door to keep dirt, dust, and bacteria from invading your workplace. It will reduce the need for everyday vacuuming and cleanups using harsh chemicals. Promote conservation of water in the office kitchen or washroom. Toilet flushing wastes a lot of water. You can limit the amount of water wasted per flush by putting a brick in the tank. Avoid buying individual packets of coffee, creamer, sugar, pepper, salt, jam, and other consumables for the office pantry. Get them in bulk instead. Advise the office manager to regularly keep tabs on your supplies cabinet. This stops employees from being wasteful with the office supplies. Explain the importance of cost saving to your employees and perhaps come up with a staff reward program that allows you to throw pizza parties, organise lunches or dinners for everybody. You can use the money you have collectively saved from conserving your office supplies. This will make the savings more tangible for everybody and encourage their efforts. Keep your mailing list updated at all times so you’re not sending out unnecessary letters. You’ll save on paper, printing, and postage. Advise employees to unplug their computers, printers, scanners, photocopiers, and other devices before they leave work. Did you know that a huge percentage of office power consumption is from equipment that isn’t even being used? These are the machines that may be off but are still plugged into an outlet. This makes them one of the biggest environmental culprits and expenses today called ‘standby power’ or ‘phantom power’. Instead of using screensavers, have everyone set monitors to power off instead. Basically just turn everything off when it’s not going to be used for several minutes or more including the lights. Instead of using disposable spoons and forks, encourage everyone to bring their own reusable utensils so you don’t throw away large quantities of plastic on a daily basis. Encourage employees to bring lunch to work in reusable containers. Avoid getting delivery and takeout as you tend to end up with a big pile of packaging waste. Your employees can also bring in their favourite mug from home to reduce or even eliminate the use of paper cups. Discourage bottled water in the workplace as well as any work-related event or meeting. Raise awareness about why you need to stop drinking bottled water and the alternatives you can switch to. You might also consider a one-time investment for glass and silver plates for you and your employees to use in the office kitchen or cafeteria during lunch breaks. Make sure each department has their own recycling bin so that recycling becomes a habit in your company. Can’t think of more ‘green’ ideas for the workplace? Establish an employee-run ‘green’ team or committee where members will brainstorm more Earth-conscious measures for your office. This will make everyone feel more involved and create a team atmosphere. Share these tips with your colleagues. Spread awareness in your workplace. You can put up signs, posters, and bulletin boards all around the office. Share studies and statistics about the company’s imprint on the environment. Share the company’s long-term goals and ask for suggestions, opinions and other ideas as well. Now, we have spoken so much about how to be part of the green initiative, but we haven’t mentioned just how much it influences workplace morale, employee retention, and, of course, cost reduction. You will see amazing strides in all of these areas after you go green. The good news is, there are companies like Alsco that strongly support ‘Green’ businesses. We provide services that will help every business owner, big or small, achieve workplace sustainability. 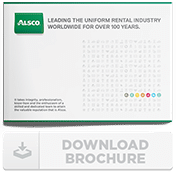 Get in touch with Alsco today and our friendly staff will be more than happy to assist with everything you need to get your ‘green initiative’ started.